Biodefense Panel concerned as Zika, avian flu expand their reach toward U.S. The Blue Ribbon Study Panel on Biodefense responded last week with what it described as “serious concerns” over two emerging infectious diseases that now threaten the United States — Zika virus and avian influenza. Mosquito species carrying Zika virus found in Washington, D.C.
On Monday (25 January), the World Health Organization (WHO) announced that Zika virus, a mosquito-borne illness that in the past year has swept quickly throughout equatorial countries, is expected to spread across the Americas and into the United States. Zika virus is transmitted by the mosquito species Aedes aegypti, also a carrier of dengue fever and chikungunya, two other tropical diseases. Though Aedes aegypti is not native to North America, researchers who study the species have reported a discovery of a population of the mosquitoes in a Capitol Hill neighborhood in Washington, D.C. In October 2015, a team of researchers ran the first tests confirming the presence of Zika virus transmission in Colombia. In their study, the researchers document a disease trajectory that started with nine positive patients and has now spread to more than 13,000 infected individuals in the South American country. Colombia is now only second to Brazil in the number of known Zika infections. Drug-resistant infections could kill an extra ten million people across the world every year by 2050 if these infections are not tackled. By this date they could also cost the world around $100 trillion in lost output: more than the size of the current world economy, and roughly equivalent to the world losing the output of the U.K. economy every year, for thirty-five years. Using a groundbreaking gene editing technique, scientists have created a strain of mosquitoes capable of rapidly introducing malaria-blocking genes into a mosquito population through its progeny, ultimately eliminating the insects’ ability to transmit the disease to humans. The technique holds the promise of eradicating a disease that sickens millions annually. Surface Enhanced Raman Scattering (SERS) technology currently is applied using chemical analysis of materials, such as scanning at airports to identify what materials may be inside of glass vials. Researchers want to expand SERS for use in biological applications that could employ antibodies for purposes such as identifying viruses, water toxins, or pathogens in food samples. The researchers work on developing a small hand-held device that allows users to take a sample, put it in a glass vial and insert into the instrument for rapid identification. The U.S. Department of Defense (DOD) has awarded a $7.6 million grant to a collaborative group of scientists in the University of Pittsburgh Center for Vaccine Research (CVR) for work which could lead to countermeasures against bioterrorism attacks. The contract is the latest in a successful run of federal funding for this group of investigators within Pitt’s CVR, which the DOD acknowledges has performed well. 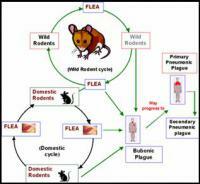 Health authorities in Crook County, Oregon, confirmed that a teenage girl has contracted bubonic plague from a flea while on a hunting trip. The girl became sick five days after the trip started on 16 October; and was rushed to a hospital in Bend, Oregon on 24 October. Researchers have developed a highly sensitive, cost-effective technology for rapid bacterial pathogen screening of air, soil, water, and agricultural produce in as little as twenty-four hours. “Rapid and reliable pathogen detection in field samples is critical for public health, security and environmental monitoring. Current methods used in food, water or clinical applications rely on labor and time-intensive culturing techniques while activities such as dairy farming, wastewater and runoff treatment necessitates real-time monitoring of pathogens in environment samples,” said one of the researchers. Swedish exchange students who studied in India and in central Africa returned from their sojourns with an increased diversity of antibiotic resistance genes in their gut microbiomes. These resistance genes were not particularly abundant in the students prior to their travels, but the increases are nonetheless quite significant. 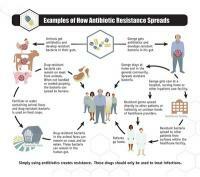 The researchers questioned the conventional wisdom that overuse of antibiotics was entirely responsible for the surge in resistance, despite the fact that overuse is a huge problem. San Diego, California-based Pfenex Inc. the other day announced it has signed a five year, cost plus fixed fee contract valued at up to $143.5 million with the Biomedical Advanced Research and Development Authority (BARDA) of the Department of Health and Human Services (HHS), for the advanced development of Px563L, a mutant recombinant protective antigen anthrax vaccine. The company says the U.S. government is looking to have a stockpile of seventy-five million doses. National Institutes of Health (NIH) scientists report that a single dose of an experimental Ebola virus (EBOV) vaccine — VSV-EBOV — completely protects cynomolgus macaques against the current EBOV outbreak strain, EBOV-Makona, when given at least seven days before exposure, and partially protects them if given three days prior. The scientists also observed that the experimental VSV-EBOV vaccine appears to provide initial protection by triggering innate virus-fighting host responses; these responses partially protected animals challenged with EBOV-Makona within a week after vaccination. Antibiotic-resistant bacteria are like a ticking time bomb. The world needs new antibiotics. Scientists, veterinarians, and doctors have been describing this crisis for some time. So why is so little happening? The honest truth is money. No one wants to foot the bill. The pharmaceutical companies have to make money, which they generally do not do on antibiotics. Engineers have developed a biosensor that can detect listeria bacterial contamination within two or three minutes. The same technology can be developed to detect other pathogens such as E. coli O157:H7, but listeria was chosen as the first target pathogen because it can survive even at freezing temperatures. It is also one of the most common foodborne pathogens in the world and the third-leading cause of death from food poisoning in the United States. There is an urgent need to develop global surveillance against the threat to public health caused by antimicrobial resistant pathogens, which can cause serious and untreatable infections in humans. Typhoid is a key example of this, with multidrug resistant strains of the bacterium Salmonella Typhi becoming common in many developing countries. A landmark genomic study, with contributors from over two-dozen countries, shows the current problem of antibiotic resistant typhoid is driven by a single clade, family of bacteria, called H58 that has now spread globally. The number of people infected with measles keeps rising in the Washington State and neighboring Oregon. 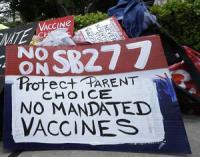 Rick Noack writes that “complacency over vaccinations has been accompanied by outright rejection of the scientific evidence on measles vaccines that has saved over 21 million lives since 2000, according to the WHO. Unsubstantiated conspiracy theories on supposedly negative side effects of vaccinations, either against measles or in a broader context, have gained momentum in some communities, in the United States and other countries.” He notes that deliberately spreading misinformation on vaccines to suggest that citizens are being lied to by their leaders has become a go-to recipe of some populist politicians. Thus, after years of railing against vaccines and even proposing a law against them in 2015, Italy’s Kremlin-supported Five Star Movement is now part of the country’s government. As world leaders grapple with containing the Zika virus, the Ebola epidemic in West Africa provides valuable lessons for how to respond to other infectious disease epidemics, according to a just-published policy report. Rebuilding local health care infrastructures, improving capacity to respond more quickly to outbreaks and considering multiple perspectives across disciplines during decision-making processes are among the key recommendations the authors propose.